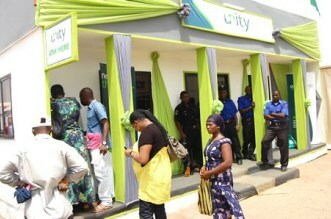 Unity Bank has expressed worry over the alarming trend of business failures among start-ups in Nigeria. The Nigerian lender made this displeasure known at a workshop organized by Mitwork Limited for up and coming entrepreneurs in Lagos. At the programme, which took place at Nouveau Centre, Victoria Island, Unity Bank urged successful entrepreneurs to provide mentorship for newcomers in the Small and Medium Enterprises (SMEs) sector. Speaking on the topic ‘Effective Structuring for Business Successes’, Unity Bank’s Head of SME Banking, Mr Opeyemi Ojesina, attributed the trend to the ‘band wagon’ mentality, which characterizes the nature of businesses in Nigeria and noted that to be successful, start-ups needed advice and periods of hand-holding by experienced entrepreneurs.